About fifty-eight percent of consumers have experienced the voice search to observe local business info details within the previous year. Some individuals say that the voice commerce sales will reach approximately to forty billion dollars in the next five years and in the similar year, about fifty percent of consumers will experience voice shopping. Today, we see that a great number of people have switched from using their computers to mobiles to experience voice search techniques and identified that it works quite well. Voice search is presently getting quite famous and changing the way rapidly that consumers look for products or services they’d like to purchase. So, the online businesses are focusing to manage Voice Search Optimization Techniques effectively so that it will provide assistance to boost e-commerce sales. 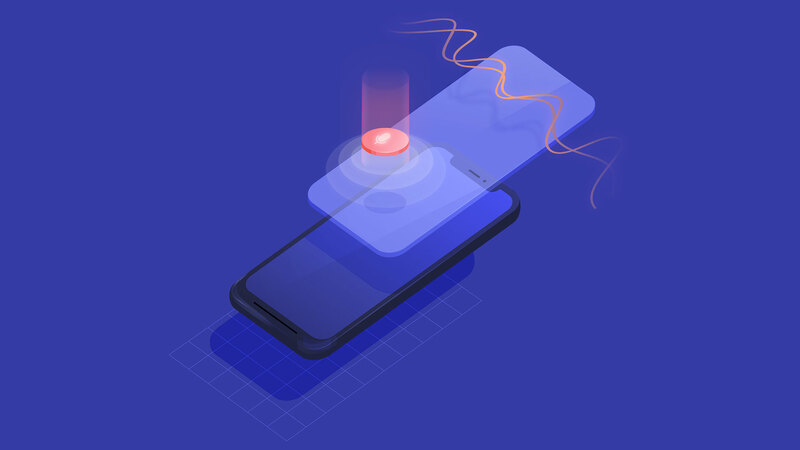 In recent times, anonymous tech giants are introducing new features or modified capabilities of essential assistants and interfaces of voice likely Cortana, Siri, Google Voice Search, and Alexa. It will truly take long or entire of the queries for products that are requested using voice search. You will find here some of the ways that will prove that the voice search optimization is inevitable in the coming years. Further, this feature will be quite effective for your e-commerce store individuals experiencing them to avail great advantages. The users have precise little tolerance for slow loading of the websites because today’s era is moving too fast and we have to manage our pace to compete for the fast world. The initial step towards acquiring the benefits of higher ranking for voice linked searches is ensuring the loading speed of the website should be at least three to four seconds. Because, Google always favors such websites that load speedily, so acquiring the first-page ranking in the search result of any search engine, it is one of the necessary practices. The main aim is to render visitors with enjoyable user experience, letting them browse the products of their needs and web pages taking no extra time to load. Precisely, the visitors can view their required products and buy them without any hindrances. The ideal thing is that Google has made numerous tools to assist webmasters and value the website speed. The page speed, for an instant, offers recommendations to lessen the loading time of the website. Changing the hosting provider and choosing one with updated environment variables will set a great benefit to improve the speed of the website. This will also offer a service that clears the cache of the website at consistent intervals. Use an appropriate plugin for the optimization of all the images used for the products. Remove all such plugins that are never used or the heavy plugins that use quite much space. Also, try to minimize the great number of redirection. Incorporation of internal linking strategy will also be effective and improving the architecture of the website will assist the visitors to move from one page to another effortlessly. Selling products on e-commerce websites likely recognized e-stores could be desirable for some because they never worry about a lot of things, likely having a devoted hosting server, using the type of plugins and making sure of the responsive website which is mobile-friendly. So, optimizing of an e-commerce store for mobile is considered much harder as compared to any company website. Because e-commerce stores require high-resolution images for the products which can be a bit challenging as the loading of pages should also be kept fast. Moreover, they should also appear attractive on the mobiles. Being an e-commerce business owner, you should make sure that both your website developer and designer should know the significance of product images optimization without leaving quality. Visiting the website employing devices with various resolutions will also assist you to observe if there are web pages that don’t appear fine on mobiles, or if there are segments of product descriptions that are concealed by images. Just remember that the terrible mobile experience can threat your website rankings, either be it for text or voice search. Placing precious pages in would be a game modifier for e-commerce businesses. Getting rank in position zero or position V for voice search will not merely benefit the traffic of the website but eventually, increase its sales as well. It has to include rich snippets or extra details in order for your web page to become a featured snippet that is not available on average snippets. Google admires prioritizing web pages with ideal snippets created of structured information because it understands such web pages as assistive and relevant to people who are searching for equivalent products or services. Mobile voice related search results are three times more probable to return local search results according to Moz because the smartphones merely know the default locations. So, you should add such keywords that are supported on searchers’ purpose and local requirements in order to optimize the e-store website for voice search. For instance, if you perform a voice search and ask the question “I am looking to buy winter caps”, the searched results feature shops that are near your location and not generic web pages that include keywords about winter caps. Revising of your local business listings with relevant local SEO practices will surely support your website to attract more visitors and acquire more products sold. The voice search is now revolutionizing search patterns and behavior of people due to the increasing smartphone technology. Businesses must set an attempt into optimizing their website for voice search before it entirely takes over text-based search. People use dissimilar keywords while searching their required products on search engines and when doing the same as a voice search. It is really significant for e-store websites to use global language because humans wish to communicate with their devices and begin a search just as they deal with others. When typing for a specific product, for instance, a buyer might type incomplete or short phrases likely “casual shoes” or “buy casual shoes”. The queries are longer than their text counterparts however with a voice search. The similar query to above mentioned will now be “what’s the best casual shoes to buy?” or “where can I buy casual shoes for men?”. E-commerce websites also require to optimize their description to have long-tail keywords and product pages should respond particular questions because these are the common questions that buyers ask employing voice search.